Winner of the "Large Attraction of the Year" in the "Cumbria Tourism Awards 2011", Muncaster Castle offers a superb day out for all ages. In reality it is four top attractions in one, comprising the haunted Castle, set in over 70 acres of breathtaking Himalayan Gardens which are home to the World Owl Centre. Completing the picture is the exciting and innovative Meadow Vole Maze. Perched between the Irish Sea and the Lake District Fells, Muncaster is located in one of Europe’s most remote and dramatic landscapes. It is a wild untamed setting of ancient woodlands and soaring mountains. 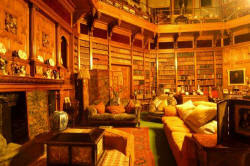 Home to the Pennington family since at least 1208, the Castle is a genuine treasure trove of art and antiques. 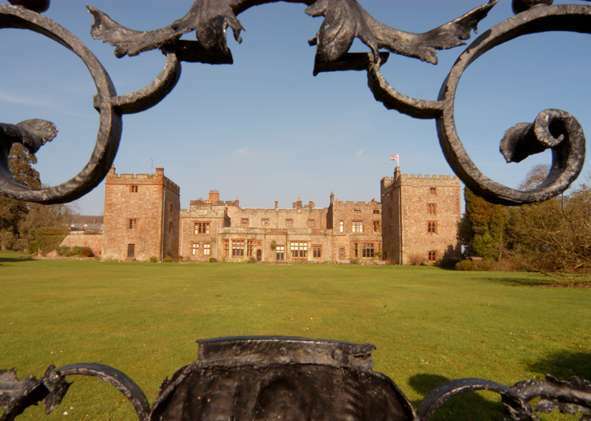 Its Great Hall, octagonal Library and elegant Dining Room are all windows on a grand past, and today Muncaster frequently hosts weddings and similar celebrations as well as greeting thousands of visitors from all over the world. 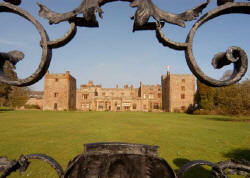 But Muncaster's wild history reveals a flipside to life in a stately home. 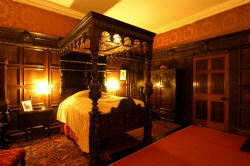 Staying guests and researchers claim it is haunted by ghosts, including the mischievous Tom Fool. 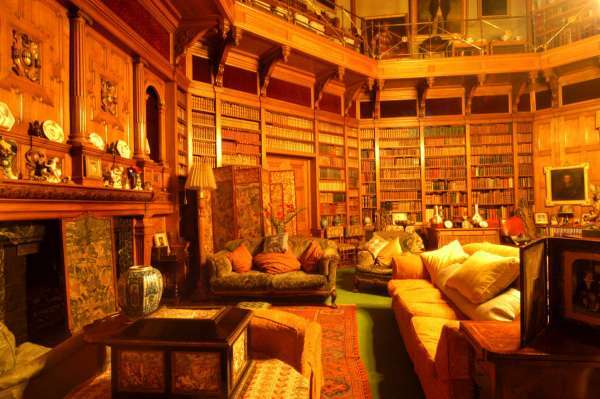 There is a definite focus of inexplicable events centred around the Tapestry Room. Forget manicured lawns and tidy plots. Famous for its rhododendrons, plants from all over the world flourish in Muncaster’s mild climate, including many oriental and Himalayan specimens of great rarity. During April, May and June the Gardens are at their best, but the views are breathtaking at all times of the year. Large and small, fierce and friendly, beautiful and strange, owls are wonders of wildlife. Muncaster is the headquarters of the World Owl Trust, a charity and membership organisation and home to one of the largest collections of these thrilling birds in existence. The Centre is home to a diverse range - from bizarre fish owls to diminutive pygmy owls which are not much bigger than a sparrow. There are also buzzards, kestrels and red kites and a daily talk and flying display every day during the season. "Heron Happy Hour" takes place daily when the wild herons swoop in to feed below the Castle itself, just yards away from visitors. The Meadow Vole Maze is a wild experience too. Visitors shrink to two and a half inches tall and try to help Max Meadow Vole find his way through the Maze to home safely. You won’t get lost, but you could get eaten! Great for kids of all ages. Why not try a "Ghost sit"? Muncaster is reputedly one of the most haunted buildings anywhere in the UK. After 12 years of serious research, scientists are still unable to explain why many strange occurrences are reported here. The ghost sit is a unique opportunity for up to 6 people to stay overnight in the Tapestry Room. We can’t guarantee spectacular spectres, but do hope you encounter high spirits during a unique night to remember. Creeping Kate’s Kitchen provides tempting full meals and light refreshments and there are shops which cater for all tastes. Visit this award winning friendly attraction yourself and find out why it is so popular with owls, ghosts, voles, flowers and human beings. Group rates are available for pre booked groups of 12 or more.